Have to do some Christmas shopping and wrapping and decorating over the weekend. Yikes, it's getting close! Absolutely gorgeous card Sue - the colours are so warm. AWESOME card. Love all your attention to detail and your rich deep colors!! Beautifully done. The MMDesign Team thanks you for playing along with us this week. 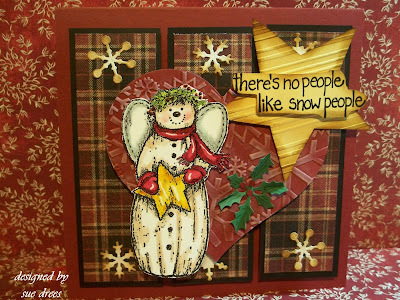 I so love the feel of this country snowman card! I decorate with snowmen thoughout my house...I have a soft spot for those ice guys! This is really pretty Sue! I love that snowman and the dark red colors that you used, great card! Hi Sue - your card is so rich with colour and warmth - a great feel!! I love that darling snowman...absolutely gorgeous!! You have used the sketch to perfection Sue - I always look forward to seeing what you bring each week! Thank you for playing along at the Midnight Madness Sketch Challenge this week Sue, if you get a moment pop back and have a look at the HUGE Giveaway that is offering NOW. We would love to see you next week at our Blog Hop - there is so much fun to be had and we would love you to be part of it! The Falls are gorgeous this time of year!! Just about as wonderful as this card, love it, the colouring is fab!! Wonderful work Sue!! My first thought? oh then OH OH yummy!!!! Love that image and everything about it with the colors and all ~~~ it's the whole package!!! Thank you for joining us at Midnight Madness. Next Tuesday is our Christmas Blog Hop - see you then. 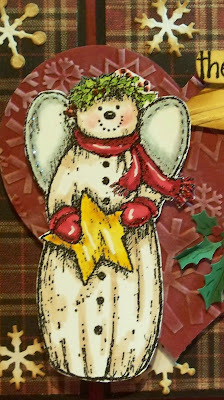 LOVE this snowman and his vintage look - he looks amazing all coloured up! Fabulous use of the challenge layout too! Thanx too for passing my question on to your sister - she's every bit as lovely and helpful as you are! Sue, I just love your new banner picture!!!! If is awesome. Your card this week just touches my heart as I love country. This is fantastic and the snowman is outstanding. You did a wonderful job with the sketch this week. I am always in awe of your work. Thanks for playing along with Midnight Madness. You asked me if this Tri-Shutter-Card on my blog is made with stamps or with Paper..
all stamps Sue...and the background is painted with watercolor. Your gift tags and the little swinging girl are so pretty! Great card Sue, love the colours and this stamp is brilliant. What a beautiful Snowman card. Lovely take on the sketch challenge this week. Your image is wonderful and I really like all of your color selections. They make your card so rich looking and warm! Thanks so much for joining us this week at MMSC! Sue, I am a big fan of your work...I just love this card and yes I love it when you do vintage. This is one of my favs this week. 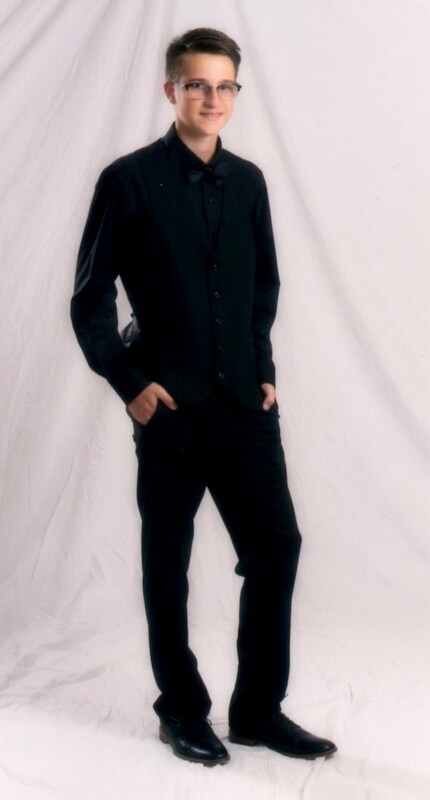 You are so very talented and I hope some day to work with you. Keep up the good work dear you are a pleasure to come visit!! Oh, If you have not done so already, be sure to get in on our HUGE giveaway we are giving right now for the 12 Blogs of Christmas. Thank you so much for playing this with us this week. What a beautiful vintage creation!! I love your patterns and colors!! The coloring of your snowman is beautiful!! Love your take on the sketch. What a gorgeous holiday card! Your card is breathtaking...absolutely gorgeous!! Saw you've got a new badge on your blog there Miss!!! Congrats!! This sure is gorgeous and well-deserving of a gold star indeed! !